Escape to paradise with the discounted timeshare accommodations at the Harbourview Villas at South Seas Resort. Browse affordable resale and rental advertisements at this charming Captiva Island resort today with SellMyTimeshareNow.com. What’s My Harbourview Villas at South Seas Resort Timeshare Worth? The tropical vacation of your dreams is waiting for you just off the coast of mainland Florida. One of Captiva Island's premier resorts, the Harbourview Villas at South Seas Island Resort, features comfortable seaside accommodations on gorgeous grounds with a collection of on-site amenities designed to make your getaway one to remember. From the heated swimming pool and recreation center, to the nearby golf, shopping, and impeccable dining, you'll truly have it all at the Harbourview Villas. Villas at the resort range from two to three bedroom units, offering enough privacy and space for your whole group. Most units contain modern furnishings and upscale in-unit amenities like full kitchens, laundry machines, and private balconies. Perfect for families seeking a beach vacation or a group of friends looking for a new, exciting destination, the Harbourview Villas at South Seas resort provides the perfect setting. If you're ready to find amazing accommodations in Captiva Island, explore the timeshare units at the Harbourview Villas. Fill out the form on this page to learn more, or call a representative directly at 1-877-815-4227. 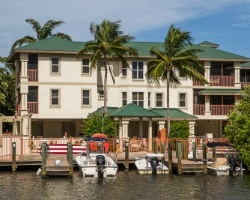 Buying a timeshare at the Harbourview Villas Captiva Island on the resale market won't only give you spectacular timeshare accommodations on the Gulf Coast every year, but it will enable you to save thousands of dollars as well. Timeshare resales are listed for-sale-by-owner, meaning the price of vacation ownership is often much, much lower than retail costs. It's common to find resales at resorts like the Harbourview Villas priced up to 70% off. What's more, you'll be getting virtually the same product and exclusive benefits. Resales at the resort are available in both deeded fixed and floating timeshare weeks, giving you plenty of options to consider when searching for an interval that matches your vacation needs. Additionally, timeshares at the Harbourview fall within Hilton's Silver, Gold, and Platinum seasons, and are eligible for HHonors points, Hilton's loyalty rewards program. The Harbourview Villas at South Seas Island are affiliated with Hilton Grand Vacations Club (HGVC), one of the most resale-friendly ownership brands in the world. While resale buyers won't be able to enter the club at the Elite level, Hilton doesn't impose many other restrictions on those who choose to buy resale. You can make reservations at the Harbourview Villas using your resale week immediately, but you may choose to upgrade your timeshare with HGVC to take advantage of benefits like Hilton points and internal exchange with other Hilton resorts. The Harbourview Villas at South Seas Island resort is also affiliated with RCI, the world's most popular timeshare exchange company. With a separate RCI membership, you can truly maximize your vacation ownership to travel around the world. Simply deposit your timeshare week or HGVC points into RCI's database, and automatically find comparable accommodations in other places to vacation. You could seamlessly trade your Captiva Island timeshare unit for rooms in Las Vegas, New York, or anywhere else around the globe. The Harbourview Villas provide guests with a delightful spread of on-site amenities and services designed to enhance your vacation and offer you a truly relaxing stay. Spend your days at the heated swimming pool or in the whirlpool spa, or venture through the resort's spectacular private gardens. Hit the beach just beyond the resort's grounds, but don't forget to head there with some water sports equipment available for rent right at the resort. Golf enthusiasts will enjoy the resort's par 3 course, while those who prefer fishing can do so in the warm Gulf waters that surround the property. Nearby, the entirety of Captiva Island is yours to enjoy. Find the ever-popular Captiva Beach, or wander the coast for boat tours and deep sea fishing excursions. Head to nearby Sanibel Island for more unique restaurants, charming shops, and cultural attractions. Whatever it is you choose to do, you can do it comfortably from the Harbourview Villas. 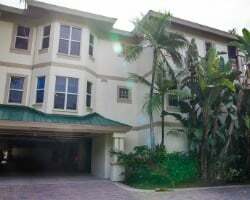 Already Own at Harbourview Villas at South Seas Island Resort?